When considering the cost of law school, there’s more to the story than just the tuition listed on the school’s website. By the time you figure in housing, regular living expenses, transportation, books, and clothing (hello, suits! ), the number is a little…or a lot higher! Every year, bright-eyed undergraduate students with their hearts set on obtaining their J.D., dream about the day they’ll walk into their first class at law school. They envision walking across the beautiful campus full of brick buildings in a park-like setting. They think of the lectures they’ll sit through and wonder how they’ll fare in the class. If you’re anything like me, you’ll imagine interactions with classmates and professors. You’ll dream about your internships and think about how amazing it will feel to do the meaningful work you feel called to do in the world. Your drive will spur you on to take important steps to get you there. While many aspirational undergraduate students think and dream about the opportunities they’ll find by attending law school, some don’t consider the cost in the ways they should. That’s why I wrote this article for you. I want to give you tools to make informed decisions about the law schools to which you apply. Before we get too far, I should probably introduce myself. My name’s Hannah Hammersmith, and I’m the Chief Law School Strategist here at Law School Solutions. My big goal is to help you submit your best possible law school application. To do this, I provide loads of free resources. As a practicing attorney myself, I know the struggles of getting into and paying for law school. I’ve coached applicants through the process of making application decisions. They’ve learned to count the cost (in dollars, debt, and opportunity) when determining their application plans. I hope this article gives you the tools you need to make informed decisions surrounding the cost of law school. What’s the average cost of law school? Tuition prices for law school vary greatly depending on whether they’re public or private and whether you qualify for in-state or out-of-state tuition. According to U.S. News & World Report’s research for 2017-18, the lowest yearly law school tuition was $12,232 at the University of North Dakota. The highest was $67,564 at Columbia University. The average private law school full-time tuition and fees was $47,112. Public in-state was $26,864, and public out-of-state was $40,308. It’s important to consider that while one may think it’s always less expensive to attend an in-state public school, that’s not always the case. Carefully consider your options from every angle. We’ll address this more below. When counting the cost of attending law school, tuition is probably the first thing you’ll notice when you research the schools you’re interested in attending. The sticker price of the school is one area to consider. But the sticker price isn’t always what you must pay in tuition and fees. Many law schools offer both need and merit-based financial aid. Need-based Aid – This type of aid is often provided to students who meet qualifications after filling out your Free Application for Federal Student Aid (FAFSA). Based on your financial situation, you may qualify for need-based grants and federal student loans. Merit-based Aid – While this isn’t always advertised, many law schools have merit-based aid – some even offer full ride scholarships, which can be a huge blessing! Merit-based aid for the schools that don’t advertise specific scholarship programs are usually heavily-based on your LSAT score and GPA. They’re looking for the top-performing students. Pay careful attention to the scholarship programs at the schools that advertise their programs. Some have additional application materials to submit for those programs. Law schools may also give more scholarships to those they know are most-interested in their school and apply early action/decision. Do your research on this to make informed decisions. To succeed in law school, you’re going to need books. While the cost of law school textbooks varies, you could be paying anywhere from $1,000 to $2,500 per year. This really depends on the requirements of specific professors. Some schools may utilize more internet-based research portals instead of only books but books are still going to be around in law school. Don’t be surprised if books cost more than they did in undergrad. Looking to make wise buying decisions for textbooks? This website contains ideas for how to find law school textbooks for cheaper prices. Think about housing for each law school you consider. Are on-campus dorms or apartments available for a reasonable price? Do you need something furnished if you’re going to be living far from home? Will it be okay to have a roommate or do you need a quiet space to yourself for maximum concentration? Consider your needs alongside the options available to you. Each part of the country has a different cost of living. Keep this in mind when you choose where to send your law school application. Think about whether you’ll be able to haul your belongings with you in a car or if you’ll need to take two suitcases and move into a furnished apartment. Consider what it will cost to buy the items you need for your space. I encourage you to avoid cutting corners in order to get housing and utility costs down. What do I mean by this? I mean that when you’re in law school, you might be tempted to live somewhere that’s cheap but isn’t very conducive to studying. You might opt for a place with multiple roommates that’s understandably a little noisier. In the short-term this may sound like a great idea to avoid going further into debt with more student loans. But in reality, it might not be the best to live somewhere that’s more of a distraction than a place where you can rest, take care of yourself, and study. A law school student has gotta eat! Even when you’re going after your dream of being an attorney and putting everything you have into it, you need to take care of your personal needs. Eating quality food (aka not eating ramen every single day!) and taking care of your health is important if you want to survive the stressful three years of law school. By the time many students get to law school they realize the sleepless nights and poor eating habits of college don’t quite work anymore. Even if you’re the kind of person who seems to bounce back no matter what, consider how important it is that you do well in your classes. You absolutely want (NEED) to pass the bar exam if you want to practice law, so be careful with your health. Just as I mentioned above when considering housing options, the cost of food, healthcare, and incidental items will vary depending on location. Aside from the cost of these things, think about how you’ll access them. 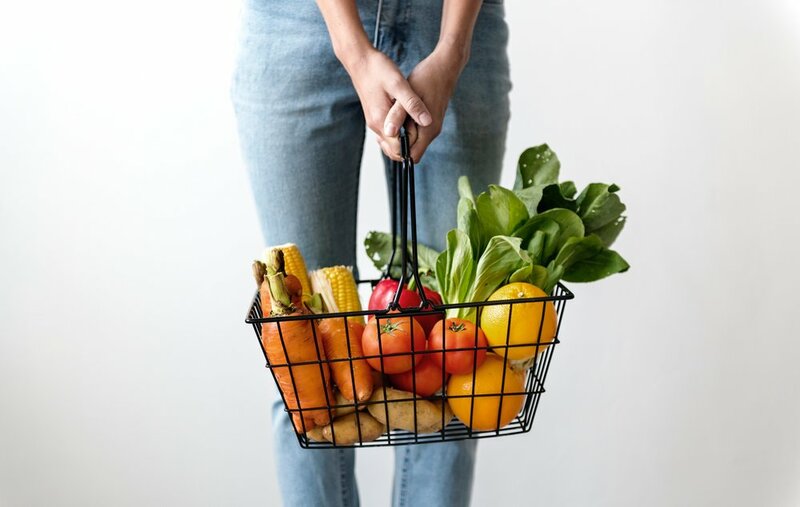 Are there grocery stores near campus or will you need to drive to buy groceries? If you have to take public transportation, you may not be able to buy as much at a time. Is there access to delivery services? But how much will those services cost? Would a meal plan be a reasonable expense so you can get your bases covered on campus? When thinking about the cost of your food, healthcare, and personal care items, be sure to consider your time. Is it worth it to take a long trip to a grocery store with cheaper prices? Or is it better to save the time and buy from somewhere close so you’ll have more time to study? Life is full of choices like these. Not only will thinking about these things now help give you a fuller picture of the cost of law school, but they’ll start to prepare you for professional life. If you’ve already been on the mock trial team or participated in another extra curricular activity like Model UN, you may have a few suits in your wardrobe. These can serve as a good base for the wardrobe you’ll need to acquire. Do law students wear suits to class everyday? No. But does that mean you can get by with baggy sweatpants and a grungy t-shirt? Also no. In law school, there are three types of attire you need to have on hand: day-to-day clothing, business casual attire, and professional attire. Day-to-day wear for law school – This is the clothing you’ll wear to class for normal days. Does it need to be fancy? No. But it is important to think about the vibe you’re giving off to your professors and classmates. Plus, you never know who is going to pop into the law school on any given day. Opt for a pair of classy jeans and a nice shirt at minimum for regular days. While you don’t need to overthink your daily clothing decisions for days spent on campus, remember that you want to put your best foot forward. You want to leave a good impression on those you interact with on a regular basis – especially your peers. You never know how those relationships you build in law school could influence your future career. Business casual attire for law school – There probably won’t be many times in law school when you’ll find yourself needing something in between normal day-to-day wear and professional attire, but extracurricular activities may lean toward the business casual side. If the dress code states “business casual,” choose to go with these types of clothing: slacks, a skirt, a button down shirt, a blazer, or a sweater. For guys, be sure you have a collar of some sort. Professional attire for law school – This is where those suits come in! Suits will be used for events like moot court or mock trial, job fairs, on campus interviews, networking events, or any other type of interview. Whenever you’re discussing a job opportunity or showing up in a professional capacity, wear a suit. Law school pro-tip: If you aren’t sure of the dress code of a law school event, wear a suit. This is the safest bet! Navigating clothing choices as a law school student may seem overwhelming at first if you’ve basically lived in sweats, but this doesn’t have to be too complicated. For now, think about the basic clothing needs you’ll need to add into your budget. This is another key component when thinking about the cost of law school. Oh, and I love hitting up sales at outlet malls. They have the best deals on professional attire! The idea of going to law school across the country may sound like a good idea, and it might be a great one. But it’s also important to keep in mind that it’s going to cost you some money to get to the location of your law school. How far is the potential law school from home? Will you need to fly or can you drive? If you drive, will you keep a car there? How much will it cost for parking, car insurance, gas, and upkeep? Maybe you have family nearby who can drive you there. Transportation costs should include transportation to and from the location of your law school and transportation costs while at law school. It’s also wise to think about transportation for internships. These could be very different costs depending on the size of the city and on how far you must travel to attend law school and your internships. Also consider how often you’ll be able to travel home to visit family. Going back more often will likely cost significantly more. Figure transportation costs into your yearly breakdown of the potential cost of law school for each school you consider. 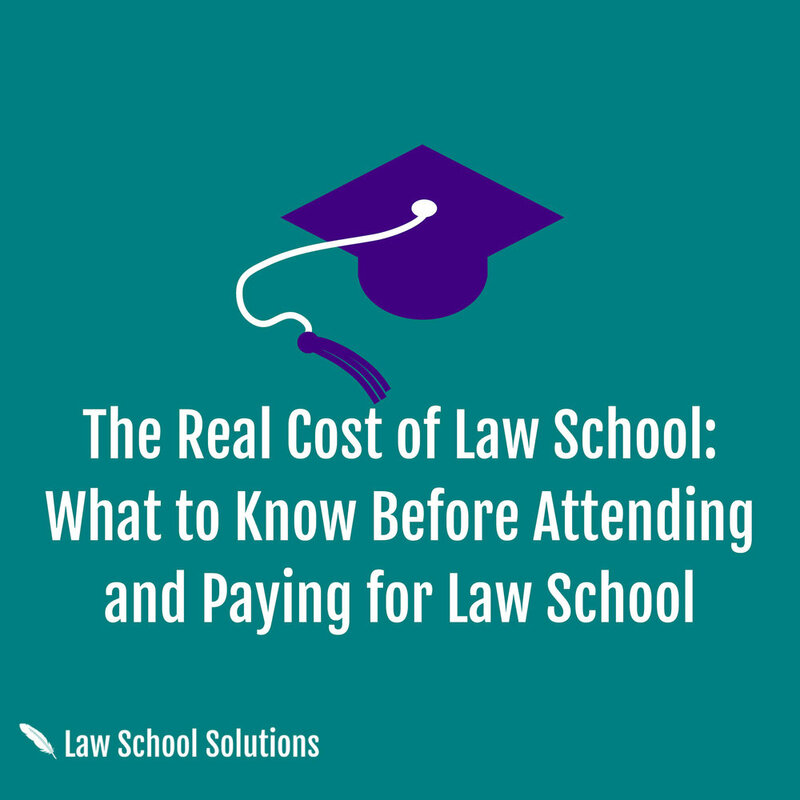 While this one isn’t exactly a dollar amount to add to your cost of law school list, it’s what I consider to be one of the most important costs to consider. It’s not just what you pay for law school that matters. What you gain from your experience there and what you give up to attend also matter immensely. I mean, law school is a significant investment than can reap incredible rewards if you work strategically. 1. Will going to a higher tier law school provide you with more opportunities in your area of interest than going to a nearby state school with a lower cost? 2. Do you want to practice law in the public or private sector? 3. Where do you want to live in the future? 4. How much money could you make in the legal career you desire? 5. How much income per year are you giving up by going to law school? 6. What matters more to you: Attending a law school with higher prestige (and thus more opportunities to make key connections) or having the smallest amount of debt possible? 7. How much debt are you willing to carry with you? There are many more opportunity costs to consider for your particular situation, so these questions are meant to serve as a starting point. I encourage potential law school applicants to think through the potential scenarios for each law school to which they choose to apply. You want to know what you’re getting yourself into financially. Law school is an extremely worthwhile investment, but you need to know how much you’re investing BEFORE you make a commitment to a particular school. When thinking about opportunity costs of choosing particular law schools, I encourage you to enlist the help of a parent or a mentor. Ask for wisdom and feedback from people who have experience handling finances and are what you consider to be successful. If you look to follow in their footsteps, ask what path would help you get there. Ask a lot of questions and be willing to listen. I hope this breakdown of the cost of law school will help you further navigate the world of law school admissions. I want to help you get to law school, but my goal is also to provide you with a realistic picture of the cost of law school. So many people have their hearts set on specific highly ranked schools. This is totally cool, and I can help you work toward the goal of admission. But it’s also helpful to apply to a range of schools so you have more options to choose from financially and professionally. Excited to see where this journey takes you! Let’s connect over on Instagram.